There are few legal issues that will have as personal an impact on your life as will a divorce or dispute over your child’s custody. These relationships are your most personal, and the decisions that will be made by the judge presiding over your case can have permanent life-altering effects not only on you, but also on your children. 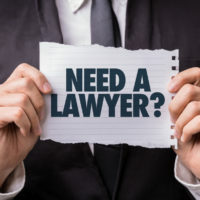 Therefore, it is extremely important to select an attorney who is capable, experienced, and a good fit to provide the type of representation you need and want. Read on to learn about factors you should consider when selecting an Illinois divorce attorney. Most people going through a divorce want their split to go as quickly and peacefully as possible. If your greatest desire is for your divorce to resolve as amicably as it can, sharing this fact with a potential attorney will give you a sense of whether they’re the right choice to represent you. Attorneys who will understand your desire to avoid conflict can recommend strategies such as use of a mediator or pre-trial negotiation that will save you from prolonged court battles. That said, if you anticipate that your divorce won’t resolve without a trial, you should also explain this to your attorney to confirm that they have courtroom experience. Family law involves a unique knowledge base. Not only must family law practitioners understand specific aspects of the Illinois statutes on family law and the procedures unique to family court, but they must be comfortable with the personal side of divorce. Even an attorney who understands the laws on divorce backwards and forwards, but who fails to grasp how personally challenging divorce can be for someone going through a split, may not be the right attorney for you. Be sure to meet in person with an attorney before hiring them to handle your case. You’ll need to feel comfortable sharing highly personal information with them, as well as asking questions about the process and requesting updates on your case. Be sure the attorney you choose will be happy to keep you informed on your case’s progress. If you’re considering filing for divorce in Illinois, speak with a compassionate, knowledgeable, and capable Chicagoland family law attorney by contacting the Carol Stream lawyers at Johnson, Westra, Broecker, Whittaker & Newitt for a consultation, at 630-665-9600, with additional offices in St. Charles and Chicago.